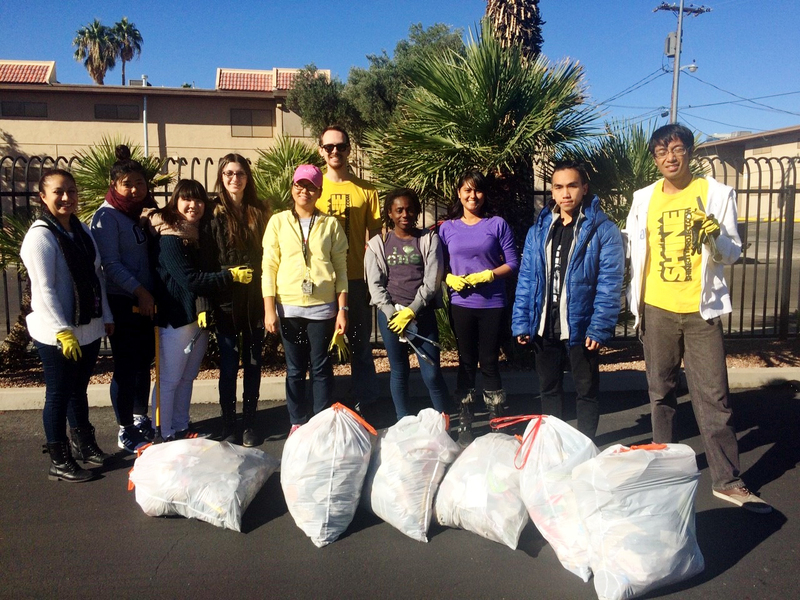 By FFWPU USA: On Friday, November 13, Shine City Project cleaned up near the intersection of Maryland Parkway and Sierra Vista Drive. 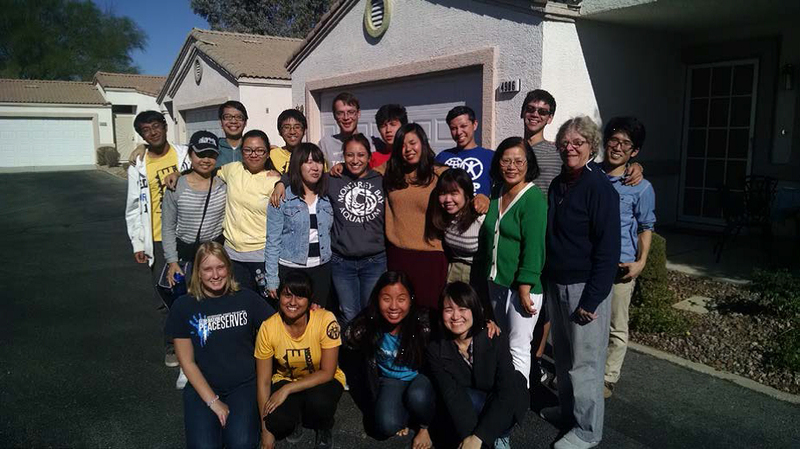 Eleven volunteers made up of UNLV students and local Japanese missionaries helped to fill six bags of trash. During the service project, a number of onlookers in the area stopped to appreciate the work of the volunteers, including employees of a nearby tire retailer store and orange vendors who gifted a bag of oranges for the volunteers. Janette, a regular member of Shine City Project, led the service project on Friday morning for the first time. For a year and a half, Jeffrey Silerio, former President and current Vice President of the SCP student organization, had organized all of the service projects. With more students being trained to look for and plan service projects, the student organization hopes to grow and have a greater influence in the city. 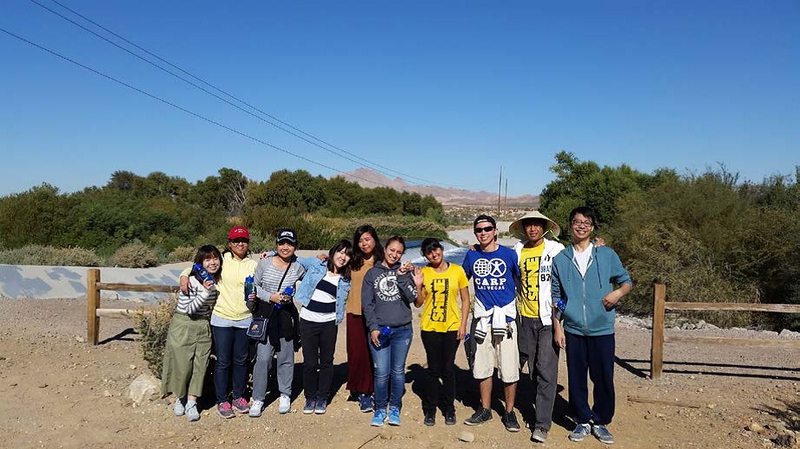 On Saturday November 14, 11 Shine City Project volunteers participated with other groups in “Wetlands Hands On!”, a Clark County conservation program at Wetlands Park on the east side of Las Vegas. Wetlands Park is the home to the Las Vegas Wash, a filtration system that prevents city waste from entering into Lake Mead, the source of drinking water for Las Vegas. Volunteers performed tasks varying from picking up trash, removing graffiti, building fences or digging up an invasive plant species. Volunteering at the Wetlands Park and having lunch at the Borneman family home was a special experience for Shine City Project. “I never knew volunteering could help the community and bring people closer together at the same time,” reflected participant CJ. “In the future, I look forward to more experiences just like today.” Having the students come to the Borneman home after a service project was also an outreach opportunity, meant to show the love of the Las Vegas Family Church culture. Several students travel from out of state to go to school in Las Vegas, so they miss their family and home cooked meals. By connecting more closely with local Unificationists, students can understand more about the values we uphold.